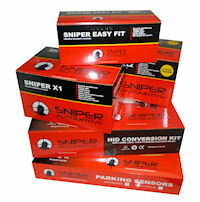 Sniper Automotive is a UK based manufacturer of vehicle accessories. The Sniper range of vehicle accessories is all about high quality products without that big brand name markup. After over 20 years in the auto accessory business and tired of seeing products that were either cheaply made and of poor quality or sold with a vast markup the team behind Sniper Automotive decided it was time to bring some quality without the price to the UK vehicle electronics market. Our aim with the Sniper range of products is to be amongst the most highly specified products around while still being affordable; quality Products at sensible prices is out motto. Since the launch of our fist car alarm system at the Geneva Motor Show in 2007 our product range has expanded to include the amazing subscription free SelfTrack GPS tracking device, mains inverters, reversing cameras, HID Xenon headlight conversion kits and parking sensor systems. 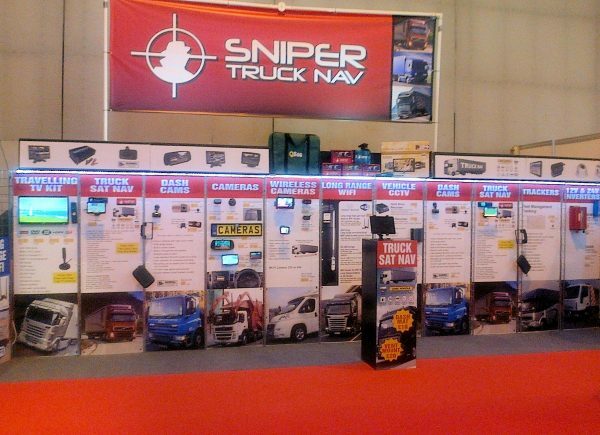 In 2014 we launched the Sniper Truck Nav range of satellite navigation systems specifically designed for the professional HGV driver which has proved hugely successful, with its sophisticated software able to plan routes that avoid unsuitable road, weight restricted roads and low bridge it is an invaluable tool for the professional driver. The latest 2015 versions of the Truck Nav now features a faster 800MHz ARM Cortex A7 processor and double the memory for even better performance and mapping for the UK, Europe and beyond, 48 countries in total. Check out our full product range on this site and contact us here if you have any questions. Sniper Automotive is a trading style of In Car Stuff Limited, Registered in England and Wales with Company Number 8593840. VAT Registration no. GB195311310. Registered office: 27 Old Gloucester Street, London, WC1N 3AX (Correspondence only – please note that packages/parcels sent to this address will be refused, if you need to return something please contact us for a return number and address).